Easter Egg Hunt at Lohrey - Search in the Belmont Park for eggs and turn them in for candy and prizes! Egg Hunters Age 3-10. 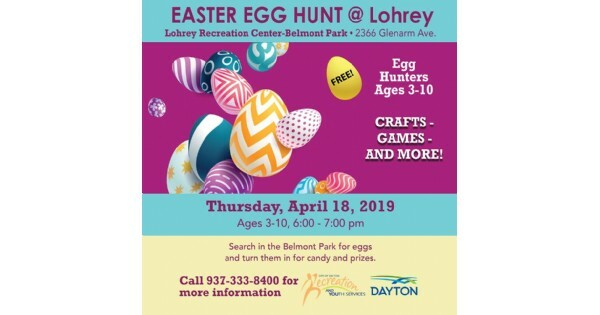 Find more events like "Easter Egg Hunt at Lohrey Recreation Center"
City of Dayton Recreation and Youth Services.